“Latent prints” is a term used to describe the forensic discipline of identifying fingerprints, palm prints, toe and sometimes even lip prints to a single individual. The term “latent” actually means hidden, which of course, fingerprints at a crime scene usually are. Forensic scientist also examine “patent” prints, which means obvious, or clear , i.e. not hidden. An example of a patent print may be one made in blood and easily visible. 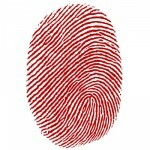 Fingerprint examination has been in use as an identification technique for over a hundred years. Human fingers have friction ridges in the skin which makes up a unique pattern. No two people, and in fact, no two fingers have the same pattern. Therefore, matching a fingerprint to the finger that it originated from is an absolute identity. 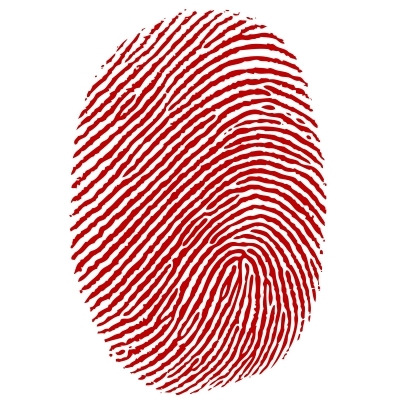 A fingerprint is made when the debris from the friction ridge of the skin comes in contact with an object. The debris is usually dirt, oil, perspiration, grease or ink. The print is often “lifted” from the surface, which simply means transferred to something that can be moved. It is then brought to the lab and the forensic scientist may use a vast array of procedures, such as the application of powders, chemicals, fumes and dyes to make it visible. Special devices, including powerful ultraviolet lamps and lasers, may also be utilized. Once it can be seen, the print is photographed, scanned and examined. The Latent Print examiner spends tedious hours studying the patterns of the print, and identifying specific points of the ridge pattern that make it unique. If enough detail can be found through the analysis, the pattern can be compared to known prints of suspects and victims. People are then included or eliminated as a possible source of the print. Many times, upon completion of their analysis, the latent print examiner is able to positively identify or exclude a person of interest. A positive identity is the most powerful form of forensic analysis and therefore the most sought after in the legal system. Latent prints may also be searched against a nationwide database of prints known as AFIS (Automated Fingerprint Identification System). AFIS contains the fingerprints of millions of persons, as well as unknown prints of other crime scenes. The computer analysis will provide a list of possible matches to the forensic scientist who will then manually compare the results to determine if a complete match really exists. Thousands of cases are solved or linked together as a result of the AFIS system every year.